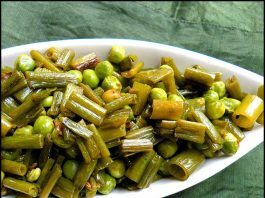 Pindi Chana…where we came from!!! 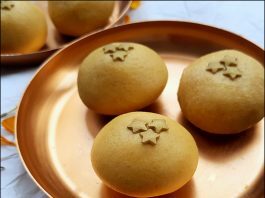 Moong Dal Laddoo…Happy Diwali and resolutions! 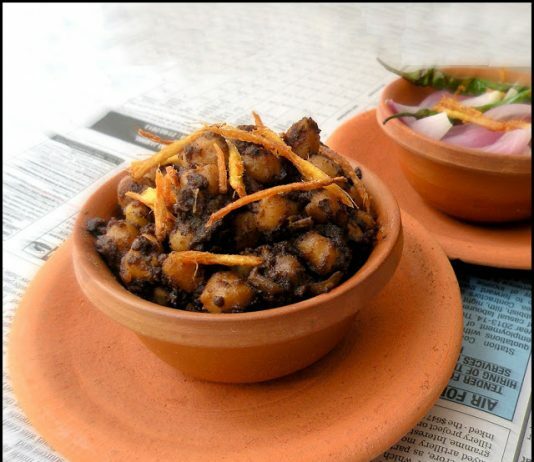 Karare Aloo/Crisp Spiced Baby Potatoes…Bigg Boss!! Chirer Pulao/ Bengali style Poha/Flattened Rice Pilaf…ready to engage!! Korean Salads…life beyond Pajeon is as easy!! Chana Biryani…how my plan failed!! Sabudana Khichdi /Sago Pilaf…when only starch can save you!! Bhaja Muger Dal/ Bengali Roasted Mung (Moong) Lentils…lunch is served!! Creamy Roasted Red Pepper Pasta…shutting out the world!! Lehsuni Dal/Garlic Flavored Lentils…lets keep the vampire away!! 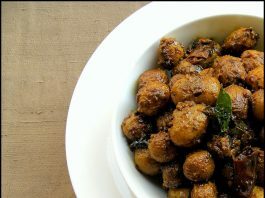 Masala Kala Chana…not just on a Saturday anymore!! Stuffed Peppers/ Stuffed Mirchi/ Bharwaan Mirchi…choose!! Lemon Butter Pasta with Artichoke…eyes, hearts and habits! 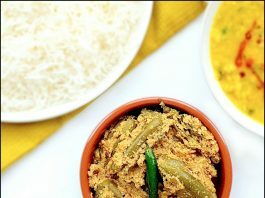 Jayeeta Mukherjee on Keema Biryani…Sunday traditions! Anonymous on Roasted Chicken Thighs with Orange and Fennel…Mein Bhi Nigella!! Asparagus Pasta…five to ten, give me more!